Junior Alex MacDonagh has always stood out on the baseball field. Throughout high school in Milton, Massachusetts, he dominated as both a hitter and a catcher. And when he came to the University of Miami as a freshman in fall 2015, he decided to try out for the Division-I baseball team as a walk-on athlete. MacDonagh caught the attention of coach Jim Morris and received the opportunity of a lifetime. But sports aren’t always fair. MacDonagh was cut from the team during the fall of his sophomore year in 2016. The Miami Hurricanes showed interest again months later in spring 2017, but the club had already started its season. Because of NCAA rules, they could not add MacDonagh to the roster. “Knowing how competitive he is and to what level he holds himself, I know he was probably pissed off,” said senior Matt Colonero, a friend of MacDonagh. MacDonagh said it was heartbreaking. “I felt a lot of my identity was circled around being on that team, but you got to rebound,” said MacDonagh, who was listed as a 6-foot, 177-pound catcher. At that point, he began to move on to another team – club baseball. There, he impressed his teammates from the start with his energy, poise and talent. Senior club baseball coach and captain Michael Fredette said he was “blown away immediately” when he first met MacDonagh. The UM club baseball team plays every college in Florida and has the opportunity every year to travel to North Carolina for the World Series. Colonero said MacDonagh always leaves his mark. “He wants to rip the cover off the ball, and he knows that he can, so he holds himself to that standard and doesn’t ever really waver from that,” he said. MacDonagh plays with high intensity, and throughout games, he wears his emotions on his sleeve. His teammates love it, and his spirit has become contagious in the dugout, especially when he lets out his characteristic, emphatic holler when a Canes pitcher throws a strike. He competes in every competition he can, but sometimes his busy schedule forces him to miss out on events. 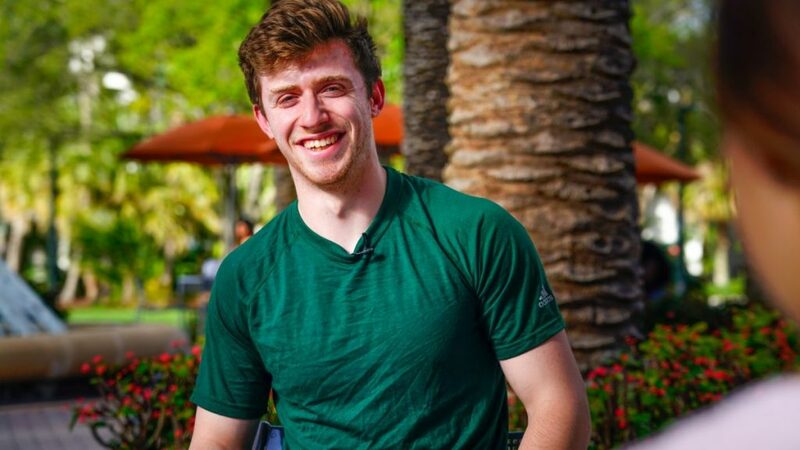 For MacDonagh, arguably the most important thing club baseball has offered him that Division-I baseball didn’t is the time to devote more of his efforts to his studies. He majors in biology and is a research intern at the University of Miami Miller School of Medicine. MacDonagh said he will never leave baseball behind, even when it takes a backseat to bigger priorities. The sport has always been a “good teacher” in every area of his life.